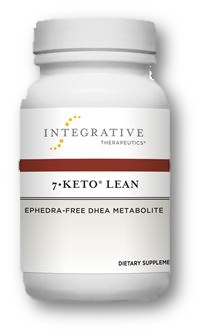 7-keto-DHEA is taken to speed up the metabolism and heat production (thermogenesis) to promote weight loss. 7-keto-DHEA is also used to improve lean body mass and build muscle, increase the activity of the thyroid gland, boost the immune system, enhance memory, and slow aging. A 2007 study demonstrated that when taken by overweight adults, 7-keto-DHEA in conjunction with a calorie-restricted diet effectively reverses the decline in resting metabolic rate (RMR) normally associated with dieting. 7-Keto-DHEA showed it could increase RMR by 1.4% above baseline levels and a 5.4% increase in daily RMR when administered with a calorie-restricted diet. Furthermore, 7-keto DHEA creates a thermogenic effect without affecting heart rate (unlike other thermogenic-stimulating products).